As a parent, you recognize the potential of your child better than anyone. 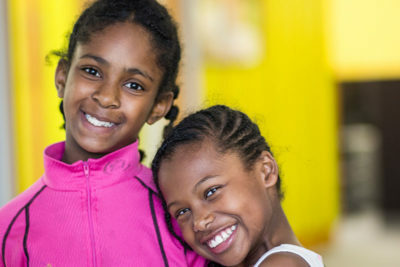 By giving him or her the opportunity to connect with a mentor (Big) as part of Big Brothers Big Sisters, you’re creating a path to an even brighter, more promising future. Could Your Child Benefit from Having a Big? It all starts with the right role models. And Big Brothers Big Sisters is the place to start a relationship with one. For more than 100 years (45 in this region), Big Brothers Big Sisters has recruited, screened, matched, and supported mentoring relationships that have changed the lives of hundreds of thousands of young people across the country. Big Brothers Big Sisters’ highly qualified staff works hard each day to find the best Bigs (mentors) for Littles in our community. Please visit the links below to learn more about how your child’s life can be changed for the better, forever! If you ‘d like to speak to us in person, please give us our Customer Service Specialist a call at (704) 910-1034 ext. 1016.